Allen, T. (2000). Housing Renewal—Doesn’t it Make You Sick?, Housing Studies 15 (3):443-461. doi: 10.1080/02673030050009276. Bolt, G., & van Kempen R. (2010). Dispersal Patterns of Households who are Forced to Move: Desegregation by Demolition: A Case Study of Dutch Cities. Housing Studies, 25 (2):159-180. Brown, B. & Perkins, D. D. (1992) Disruptions in place attachment, in: I. Altman and S. M. Low (Eds) Place Attachment, 279–304 (New York: Plenum). Chen, J., Yang, Z. & Wang, YP. (2014). The New Chinese Model of Public Housing: A Step Forward or Backward? Housing Studies, 29(4), 534-550. Davidson, M. (2008). Spoiled mixture: where does state-led positive gentrification end? Urban Studies, 45 (12), 2385-2405. Doff, W.., & Kleinhans R.( 2010). Residential Outcomes of Forced Relocation: Lifting a Corner of the Veil on Neighbourhood Selection. Urban Studies, 48 (4), 661-680. Dong F.(2007) .The Path and Experience of Shenyang Tiexi District’s Revitalisation. Macroeconomic Management. 7:67-69. Fang, Y. (2006). Residential Satisfaction, Moving Intention and Moving Behaviours: A Study of Redeveloped Neighbourhoods in Inner-City Beijing. Housing Studies, 21 (5), 671-694. Feijten, P. & van Ham, M. (2009). Neighbourhood Change... Reason to Leave? Urban Studies 46(10), pp.2103- 2122. Freeman, L. (2008). Comment on ‘The eviction of critical perspectives from gentrification research’. International Journal of Urban and Regional Research, 32(1), 186-191. Fried, M. (1963). Grieving for a lost home, in: L. J. Duhl (Ed.) The Urban Condition, pp. 151–171 (New York: Basic Books). Fried, M. (2000). Continuities and discontinuities of place, Journal of Environmental Psychology, 20 (3), pp. 193–205. Gilroy, R. (2012). Physical threats to older people’s social worlds: findings from a pilot study in Wuhan, China. Environment and Planning A, 44 (2):458-476. Goetz, E. G. (2011). Where have all the towers gone? The dismantling of public housing in US cities. Journal of Urban Affairs, 33(3), 267-287. Goetz, E. G. (2013). Too Good to be True? The Variable and Contingent Benefits of Displacement and Relocation among Low-Income Public Housing Residents. Housing Studies 28 (2):235-252. Goetz, E.G. (2015). From Breaking Down Barriers to Breaking Up Communities: The Expanding Spatial Strategies of Fair Housing Advocacy. Urban Affair Reviews, 51(6): 820 –842. Gong, H. (2012). The research on differentiation of grouping order in re-settlement community- resettlement community in J city in Northeast of China as example. Master’s degree master’s thesis, Jilin University. Guo, Y. & Sun, G. (2010). Century changes-spatially concentrated urban shantytown redevelopment in Liaoning, Beijing: The History of the Communist Party of China Press. He, S. J. , & Wu. F. L. (2007). Socio-spatial impacts of property-led redevelopment on China’s urban neighbourhoods. Cities 24 (3):194-208. doi: 10.1016/j.cities.2006.12.001. He, S. J., Webster, C., Wu, F. L., & Liu, Y. T.(2008) Profiling urban poverty in a Chinese City, the case of Nanjing. Applied Spatial Analysis and Policy, 1(3), pp. 193-214. He, S. J., Wu, F., Webster, C., & Liu, Y. (2010) Poverty Concentration and Determinants in China’s Urban Low income Neighbourhoods and Social Groups. International journal of urban and regional research, 34(2), pp. 328-349. He, S. J. jing. (2012). Two waves of gentrification and emerging rights issues in Guangzhou, China. Environment and Planning A, 44 (12):2817-2833. He, S.J., & Liu, Z.. (2013). A follow-on study on the impact of urban redevelopment on local residents induced by the Asian Games: an investigation in the three affected communities in Guangzhou. [In Chinese] Geographical Research 32 (3):243-275. Hin, L. L., & Xin L. (2011). Redevelopment of urban villages in Shenzhen, China – An analysis of power relations and urban coalitions. Habitat International 35 (3):426-434. doi: 10.1016/j.habitatint.2010.12.001. Ho, C. Y.. (2013). Bargaining demolition in China: A practice of distrust. Critique of Anthropology 33 (4):412-428. doi: 10.1177/0308275x13501902. Hu, Y., Hooimeijer, P., Bolt, G., & Sun, D. Q. (2015). Uneven compensation and relocation for displaced residents: The case of Nanjing. Habitat International 47:83-92. Kearns, A. & Mason, P. (2013). Defining and Measuring Displacement: Is Relocation from Restructured Neighbourhoods Always Unwelcome and Disruptive? Housing Studies, 28(2), pp.177-204. Kleinhans, R. (2003). Displaced but still Moving Upwards in the Housing Career? Implications of Forced Residential Relocation in the Netherlands. Housing Studies, 18 (4):473-499. Kleinhans, R. & Kearns, A. (2013). Neighbourhood restructuring and residential relocation: Towards a balanced perspective on relocation processes and outcomes. Housing Studies, 28(2), 163-176. Kleinhans, R., and Van der Laan Bouma-Doff, W. (2008). On Priority and Progress: Forced Residential Relocation and Housing Chances in Haaglanden, the Netherlands. Housing Studies 23 (4):565-587. doi: 10.1080/02673030802101641. Jin F.J., Zhang P. Y. Fan, J. et al.. (2006). Study on Revitalization and Sustainable Development Strategies of Northeast China. Beijing:The Commercial Press. La Grange, A., & Pretorius, F.. (2016). State-led gentrification in Hong Kong. Urban Studies 53 (3):506-523. Lee, J. (2000) From Welfare Housing to Home Ownership: The Dilemma of China’s Housing Reform. Housing Studies, 15(1):61-76. Lees, L. (2012). The geography of gentrification: Thinking through comparative urbanism. Progress in Human Geography, 36(2): 155-171. Lelévrier, C. (2013). Social mix neighbourhood policies and social interaction: The experience of newcomers in three new renewal developments in France. Cities, 35: 409-416. Li, S. M., & Song, Y. L. Song. (2009). Redevelopment, displacement, housing conditions, and residential satisfaction: a study of Shanghai. Environment and Planning A 41 (5):1090-1108. doi: 10.1068/a4168. Li, X., van Ham, M., & Kleinhans, R. (2016). Understanding the Experiences of Relocatees During Forced Relocation in Chinese Urban Restructuring (No. 10140). IZA Discussion Papers. Li, X., Kleinhans, R., & van Ham, M. (2017a). Shantytown redevelopment projects: State-led redevelopment of declining neighbourhoods under market transition in Shenyang, China. Cities. Cities,73:106-116. Liu Y.J. (2009). Discussing the Transformation and Revitalization of the Old Industrial Base by Analyzing the Industrial Development History of Shenyang Tiexi District[D].Changchun Northeast Normal University. Liu, Y.T., & Wu, F.L. (2006) Urban poverty neighbourhoods: Typology and spatial concentration under China’s market transition, a case study of Nanjing. Geoforum, 37(4) :610-626. Liu, Y. Q.qi, Wu, F.L. Liu, Y. et al. (2017). Changing neighbourhood cohesion under the impact of urban redevelopment: a case study of Guangzhou, China. Urban Geography 38 (2): 266-290. Livingston, M., Bailey, N. & Kearns, A. (2010) Neighbourhood attachment in deprived areas: evidence from the north of England, Journal of Housing and the Built Environment, 2010 (25) : 409–427. LNJST (2008) The successful practise of The Scientific outlook for development: The essence of Shanty town redevelopment, Shenyang: Liaoning People’s Publishing House. Ma, J.. (2012). The study on Farmers’ attitude and behaviour of different relocation models. Master’s Degree master’s thesis, Dongbei University of Finance and Economics. Manzo, L.C., Kleit, R.G. & Couch, D. (2008) “Moving Three Times Is Like Having Your House on Fire Once”: The Experience of Place and Impending Displacement among Public Housing Residents. Urban Studies, 45(9) : 1855-1878. Manzo, L.C. (2014) On uncertain ground: being at home in the context of public housing redevelopment, International Journal of Housing Policy. 14(4) : 389-410. Massey, D. S. (2013). Inheritance of poverty or inheritance of place? The emerging consensus on neighborhoods and stratification. MOHURD. (2013) Jie du’Guowuyuan Jiakuai Peng-hu-qu Gaizao Gongzuo de Yijian (Decoding the suggestions on accelerating the redevelopment of the shantytowns from the state council). Available at http://www.gov.cn/zwhd/2013-07/12/content_2445702.htm. Oakley, D., Ruel, E., & Wilson, G. E. (2008). A choice with no options: Atlanta public housing residents’ lived experiences in the face of relocation. Atlanta: Georgia State University. Owens, A. (2017). How Do People-Based Housing Policies Affect People (and Place)?. Housing Policy Debate, 27(2) : 266-281. Popkin, S. J., Buron, L. F., Levy, D. K., et al. (2000). The Gautreaux Legacy: What Might Mixed‐Income and Dispersal Strategies Mean for the Poorest Public Housing Tenants?. Housing Policy Debate, 11(4) : 911-942. Popkin, S.J., Levy, D.K., Harris, L.E., et al.. (2004). The HOPE VI Program: What about the residents? Housing Policy Debate, 15(2) : 385-414. Popkin, S. J., Cunningham, M. K., & Burt, M. (2005). Public housing transformation and the hard-to-house. Housing Policy Debate, 16(1) : 1-24. Posthumus, H., & Kleinhans R. (2014). Choice within limits: how the institutional context of forced relocation affects tenants’ housing searches and choice strategies. Journal of Housing and the Built Environment 29 (1):105-122. doi: 10.1007/s10901-013-9353-6. Qian, J.X., and He S. J.. (2012). Rethinking social power and the right to the city amidst China’s emerging urbanism. Environment and Planning A 44 (12):2801-2816. doi: 10.1068/a44373. Shenyang Year Book. (1992). Beijing: China Statistics Press. Shi, J. G.-gang, and Jie, Z.. (2013). Behaviour of relocatees from a game view. [In Chinese] Urban Problems (4):72-77. Shin, H. B. (2016). Economic transition and speculative urbanisation in China: Gentrification versus dispossession. Urban Studies, 53(3) : 471-489. Sichuan News. 2009. “Report about the demolition and self-burning event in Chengdu city.” Si-chuan News. Accessed 3 September 2009. http://scnews.newssc.org/system/2009/12/03/012464005.shtml. Sun H. J.(2012). Urban development and social change of Shenyang in modern times (1898-1945). (Doctoral dissertation). Changchun: Northeast Normal University. Tester, G., Ruel, E., Anderson, A., et al. (2011). Sense of place among Atlanta public housing residents, Journal of Urban Health, 88(3) :436-453. Tester, G., & Wingfield, A. H. (2013). Moving past picket fences: The meaning of “home” for public housing residents. Sociological Forum, 28 (1) : 70-84. The State Council of PRC. 2013. “The suggestions of the State Council on accelerating the slum clearance and upgrade projects.” The State Council of PRC. Accessed 12 July. http://www.gov.cn/zwgk/2013-07/12/content_2445808.htm. Uitermark, J., Duyvendak, J. W., & Kleinhans, R. (2007). Gentrification as a governmental strategy: social control and social cohesion in Hoogvliet, Rotterdam. Environment and Planning A, 39(1) :125-141. Vale, L. J. (1997) Empathological Places: residents’ ambivalence towards remaining in public housing, Journal of Planning Education and Research, 16(3) :159-175. Wang, H., & Dong, W. (2010). Urban morphological transforming from teh perspective of political power: a case study of Shenyang (2010). Planning and Design (7) :57-64. Wang M. S. (2010) Study on the city evolution and space morphology of Shenyang in Qing Dynast, Doctoral dissertation, South China University of Technology. Wang, YP, Shao, L., Murie, A., et al. (2012). The Maturation of the Neo-liberal Housing Market in Urban China. Housing Studies, 27(3) : 343-359. Weinstein, L., & Ren X. F.. (2009). The changing right to the city: urban renewal and housing rights in globalizing Shanghai and Mumbai. City & Community 8 (4):407-432. Wu, F. L.. (2004a). Intraurban residential relocation in Shanghai: modes and stratification. Environment and Planning A 36 (1):7-25. Wu, F. L.. (2004b). Residential relocation under market-oriented redevelopment: the process and outcomes in urban China. Geoforum 35 (4):453-470. doi: 10.1016/j.geoforum.2003.10.001. Wu, F. L. (2004c). Urban poverty and marginalization under market transition: the case of Chinese cities. International Journal of Urban and Regional Research, 28(2) : 401-423. Zhang, P. Y. (2003). Industrial transformation of Shenyang city. Chinese Geographical Science 13(3) :216-223. Zhang P.Y. (2014), From Mao’s Pet to Deng’s Burden, in Old Industrial Cities Seeking New Road of Industrialization: Models of Revitalizing Northeast China edited by Wang, M., Chen, Z., Zhang, P., Tong, L., & Ma, Y. (Eds.). (2014) :15-29. Zhang P.Y. & Li X. (2014). Tiexi’s Reborn: The Revitalization of the City’s Old Industrial Zone, in Old Industrial Cities Seeking New Road of Industrialization: Models of Revitalizing Northeast China edited by Wang, M., Chen, Z., Zhang, P., Tong, L., & Ma, Y. (Eds.). (2014) :71-89. Allen, T. (2000). Housing Renewal—Doesn’t it Make You Sick? Housing Studies 15 (3):443-461. doi: 10.1080/02673030050009276. An, Z. (2007). Development of inhabitant’s family structure and living pattern after house demolition-Case study of Z community in Shanghai. Master’s thesis, East China Normal University. Atkinson, R. (2000). The hidden costs of gentrification: Displacement in central London. Journal of housing and the built environment 15 (4):307-326. Bolt, Gn, and van Kempen, R(2010). Dispersal Patterns of Households who are Forced to Move: Desegregation by Demolition: A Case Study of Dutch Cities. Housing Studies 25 (2):159-180. doi: 10.1080/02673030903561834. Cernea, M.(1997). The risks and reconstruction model for resettling displaced populations. World development 25 (10): 1569-1587. Chen, J, and Lai Rose N.. (2013). Relocation-Redevelopment Projects for City Expansion: The Case in China. Real Estate Economics 41 (4):925-957. doi: 10.1111/reec.12017. Chen, J., Yang, Z. and Wang, YP. (2014) The New Chinese Model of Public Housing: A Step Forward or Backward? Housing Studies, 29(4) : 534-550. Davidson, M. (2008). Spoiled mixture: where does state-led positive gentrification end? Urban Studies 45 (12):2385-2405. Day, J. (2013). Effects of Involuntary Residential Relocation on Household Satisfaction in Shanghai, China. Urban Policy and Research 31 (1):93-117. doi: 10.1080/08111146.2012.757736. Day, J, and Cervero, R. (2010). Effects of Residential Relocation on Household and Commuting Expenditures in Shanghai, China. International Journal of Urban and Regional Research 34 (4):762-788. doi: 10.1111/j.1468-2427.2010.00916.x. Doff, Wenda., and Kleinhans, R.. (2010). Residential Outcomes of Forced Relocation: Lifting a Corner of the Veil on Neighbourhood Selection. Urban Studies 48 (4):661-680. doi: 10.1177/0042098010366745. Downing, Theodore E., and Carmen D, (2009). Routine and dissonant cultures: A theory about the psycho-socio-cultural disruptions of involuntary displacement and ways to mitigate them without inflicting even more damage. In Development and Dispossession, Edited by Oliver-Smith, Anthony, 225-253. Santa Fe: School for Advanced Research. Duckett, J. (2012). China’s 21st-century welfare reforms. Local Economy 27(5-6): 645-650. Erie, Matthew. S. 2012. Property rights, legal consciousness and the new media in china: The hard case of the ‘toughest nail-house in history’. China Information 26 (1):35-59. doi: 10.1177/0920203X11436164. Fang, K, and Zhang, Y. (2003). Plan and market mismatch: Urban redevelopment in Beijing during a period of transition. Asia Pacific Viewpoint 44 (2):149-162. Fang, Y-P. (2006). Residential Satisfaction, Moving Intention and Moving Behaviours: A Study of Redeveloped Neighbourhoods in Inner-City Beijing. Housing Studies 21 (5):671-694. doi: 10.1080/02673030600807217. Gilroy, R. (2012). Physical threats to older people’s social worlds: findings from a pilot study in Wuhan, China. Environment and Planning A 44 (2):458-476. Goetz, E. G. (2002). Forced Relocation vs. Voluntary Mobility: The Effects of Dispersal Programmes on Households. Housing Studies 17 (1):107-123. doi: 10.1080/02673030120105938. Goetz, E. G. (2011). “Where have all the towers gone? The dismantling of public housing in US cities”. Journal of Urban Affairs 33(3): 267-287. Goetz, E. G. (2013). Too Good to be True? The Variable and Contingent Benefits of Displacement and Relocation among Low-Income Public Housing Residents. Housing Studies 28 (2):235-252. doi: 10.1080/02673037.2013.767884. Gong, H. (2012). The research on differentiation of grouping order in re-settlemtn community-H resettlement community in J city in Northeast of China as example. Master’s degree master’s thesis, Jilin University. GoWell (2011). Moving Out, Moving On? Short to medium term outcomes from relocation through regeneration in Glasgow. Glasgow: Glasgow Centre for Population Health. Grier, G, and Grier, E.. (1980). Urban displacement: a reconnaissance. In Back to the City: in Neighbourhood Renovation, Edited by Laska, Shirley B. and Spain, Daphne, 252-268. New York: Pergamon. He, S.J. (2007). State-sponsored gentrification under market transition the case of Shanghai. Urban Affairs Review 43 (2):171-198. He, S.J.. (2010). New-build gentrification in central Shanghai: demographic changes and socioeconomic implications. Population, Space and Place 16(5): 345-361. doi: 10.1002/psp.548. He, S.J.. (2012). Two waves of gentrification and emerging rights issues in Guangzhou, China. Environment and Planning A 44 (12):2817-2833. doi: 10.1068/a44254. He, S.J., and Liu, Z. (2013). A follow-on study on the impact of urban redevelopment on local residents induced by the Asian Games: an investigation in the three affected communities in Guangzhou. [In Chinese] Geographical Research 32 (3):243-275. He, S.J., and Wu, FL. (2005). Property‐led redevelopment in post‐reform China: a case study of Xintiandi redevelopment project in Shanghai Journal of Urban Affairs 27 (1):1-23. He, S.J., and Wu, Wu FL. (2007). Socio-spatial impacts of property-led redevelopment on China’s urban neighbourhoods. Cities 24 (3):194-208. doi: 10.1016/j.cities.2006.12.001. He, Xin. (2014). Maintaining Stability by Law: Protest-Supported Housing Demolition Litigation and Social Change in China. Law and Social Inquiry-Journal of the American Bar Foundation 39 (4):849-873. doi: 10.1111/lsi.12064. He, Z., and Asami, Yasushi.. (2014). How Do Landowners Price their Lands during Land Expropriation and the Motives Behind It: An Explanation from a WTA/WTP Experiment in Central Beijing. Urban Studies 51 (2):412-427. doi: 10.1177/0042098013492227. Higgins, E. T., & Stangor, C. (1988). A “change-of-standard” perspective on the relations among context, judgment, and memory. Journal of Personality and Social Psychology, 54(2): 181. Hin, L.L, and Xin Li. (2011). Redevelopment of urban villages in Shenzhen, China – An analysis of power relations and urban coalitions. Habitat International 35 (3):426-434. doi: 10.1016/j.habitatint.2010.12.001. Ho, Cheuk Yuet. (2013). Bargaining demolition in China: A practice of distrust. Critique of Anthropology 33 (4):412-428. doi: 10.1177/0308275x13501902. Hu, Y., Hooimeijer, P., Bolt, G., & Sun, D. Q. (2015) Uneven compensation and relocation for displaced residents: The case of Nanjing. Habitat International 47:83-92. Jingan District Government. (2015). The scheme for dwelling expropriation and compensation for the old inner city redevelopmnet project at No.73 street in Jingan District. Jingan District-level Government, Accessed 6th August. http://www.jingan.gov.cn/xxgk/016023/016023002/20150814/ a7904748-b69d-4ad4-96d2749535df689d.html;http://www.jingan.gov.cn/xxgk/016001/016001001/20150817/69939629-2783-4004-8205-d42d1e8ba3a2.html. Kearns, A., and Mason, P.. (2013). Defining and Measuring Displacement: Is Relocation from Restructured Neighbourhoods Always Unwelcome and Disruptive? Housing Studies 28 (2):177-204. doi: 10.1080/02673037.2013.767885. Kleinhans, R. (2003). Displaced but still Moving Upwards in the Housing Career? Implications of Forced Residential Relocation in the Netherlands.” Housing Studies 18 (4):473-499. doi: 10.1080/02673030304248. Kleinhans, R, and Kearns, A.. (2013). Neighbourhood Restructuring and Residential Relocation: Towards a Balanced Perspective on Relocation Processes and Outcomes. Housing Studies 28 (2):163-176. doi: 10.1080/02673037.2013.768001. Kleinhans, R, and Van der Laan Bouma-Doff, W. (2008). On Priority and Progress: Forced Residential Relocation and Housing Chances in Haaglanden, the Netherlands. Housing Studies 23 (4):565-587. doi: 10.1080/02673030802101641. La Grange, Adrienne, and Pretorius, F. (2016). State-led gentrification in Hong Kong. Urban Studies 53 (3):506-523. Lee, J. (2000) From Welfare Housing to Home Ownership: The Dilemma of China’s Housing Reform. Housing Studies 15(1) 61-76. Li, Q, and Li, Y . (2010). Residential differentiation and social distance. [In Chinese] Social Sciences of Beijing (1):4-11. Li S-M. (2010) Evolving Residential and Employment Locations and Patterns of Commuting under Hyper Growth: The Case of Guangzhou, China, Urban Studies, 47(8): 1643-1661. Li, S-M, and Song Y.L. (2009). Redevelopment, displacement, housing conditions, and residential satisfaction: a study of Shanghai. Environment and Planning A 41 (5):1090-1108. doi: 10.1068/a4168. Li, S-M, Zhu, Y.S, and Li, L.M. 2012. Neighbourhood type, gatedness, and residential experiences in Chinese cities: A study of Guangzhou. Urban Geography 33 (2):237-255. Li, X.M., and Yuan, X.F. (2008). Rethinking danwei communities. Sichuan Building Science 34 (2):197-199. Li, X., Kleinhans, R., & van Ham, M. (2017). Shantytown redevelopment projects: State-led redevelopment of declining neighbourhoods under market transition in Shenyang, China. Cities. Cities,73,106-116. Li, X., Kleinhans, R. & van Ham, M. (2016). “Understanding the Experiences of Relocatees During Forced Relocation in Chinese Urban Restructuring “ . (No. 10140) . IZA Discussion Papers. Liaoning Daily. (2015). “Within 1 month Liaoning province reports 23 issues that violate the ‘ethos’.” CPCNEWS Accessed 14 October. http://fanfu.people.com.cn/n/2015/1014/c64371-27696907.html. Liu, Y.Q., Wu, F.L., Liu, Y. Liu, and Li, Z.G. (2017). “Changing neighbourhood cohesion under the impact of urban redevelopment: a case study of Guangzhou, China.” Urban Geography 38 (2): 266-290. Luo, Y.N. (2012). “Institutional Arrangements and Individual Action:The Spontaneous Moving Back of Urban Inhabitants of Resettlement and Space Reconstruction of The Original Community.”master’s thesis, East China Normal University. Ma, J. (2012). “The study on Farmers’ attitude and behaviour of different relocation models.” Master’s Degree master’s thesis, Dongbei University of Finance and Economics. Manzo, L.C., Kleit, R.G. & Couch, D. (2008) “Moving Three Times Is Like Having Your House on Fire Once”: The Experience of Place and Impending Displacement among Public Housing Residents. Urban Studies, 45(9) 1855-1878. Marcuse, P. 1985. “Gentrification, abandonment, and displacement: Connections, causes, and policy responses in New York City.” Wash. UJ Urb. & Contemp. L. 28:195. Nandu News. (2015). “How come the relocation lasts for 12 years for 200 villagers in Xiacun Village in Zhuhai city?”. Nandu News Accessed 12 January http://paper.oeeee.com/nis/201501/19/318555.html. Newman, Kathe and Elvin K.W. (2006). The Right to Stay Put, Revisited: Gentrification and Resistance to Displacement in New York City, Urban Studies, 43(1): 23–57. Owens, A. (2017). How Do People-Based Housing Policies Affect People (and Place)?. Housing Policy Debate 27(2) 266-281. People.cn. (2013). Haven’t been relocated for more than 10 years . People.cn Accessed 25 February. http://leaders.people.com.cn/n/2013/0225/c178291-20584614.html. Popkin, S. J., Levy, D.K. et al.,. (2004). The HOPE VI Program: What about the residents? Housing Policy Debate 15 (2):385-414. doi: 10.1080/10511482.2004.9521506. Posthumus, H, and Kleinhans, R.. (2014). Choice within limits: how the institutional context of forced relocation affects tenants’ housing searches and choice strategies. Journal of Housing and the Built Environment 29 (1):105-122. doi: 10.1007/s10901-013-9353-6. Qian, J.X., and He, S.J. (2012). Rethinking social power and the right to the city amidst China’s emerging urbanism. Environment and Planning A 44 (12):2801-2816. doi: 10.1068/a44373. Raymond, C. M., Brown, G, and Weber, D. (2010). The measurement of place attachment: Personal, community, and environmental connections. Journal of Environmental Psychology 30 (4):422-434. doi: 10.1016/j.jenvp.2010.08.002. Ren, X.F. (2014). The Political Economy of Urban Ruins: Redeveloping Shanghai. International Journal of Urban and Regional Research 38 (3):1081-1091. doi: 10.1111/1468-2427.12119. Scannell, L., and Gifford, R. (2010). Defining place attachment: A tripartite organizing framework. Journal of Environmental Psychology 30 (1):1-10. doi: 10.1016/j.jenvp.2009.09.006. Scudder, T, and Colson, E.(1982). From welfare to development: a conceptual framework for the analysis of dislocated people. In Involuntary Migration and Resettlement, Edited by Hansen, A. and Ohver-Smith, A.,267-287. Boulder: Westview Press. Shi, J.G., and Zhu, J. (2013). Behaviour of relocatees from a game view. [In Chinese] Urban Problems (4):72-77. Shin, H.B. (2014). Urban spatial restructuring, event-led development and scalar politics. Urban Studies 51 (14):2961-2978. doi: 10.1177/0042098013515031. Shin, H.B. (2016) Economic transition and speculative urbanisation in China: Gentrification versus dispossession. Urban Studies 53(3) 471-489. Sichuan News. 2009. Report about the demolition and self-burning event in Chengdu city. Si-chuan News. Accessed 3 September 2009. http://scnews.newssc.org/system/2009/12/03/012464005.shtml. Song, J. (2015). Official relocation and self-help development: Three housing strategies under ambiguous property rights in China’s rural land development. Urban Studies 52 (1):121-137. doi: 10.1177/0042098014524612. The State Council of PRC. (2001). The Regulation on the Management of the Demolition of Urban Dewellings. The State Council of PRC. (2013). The suggestions of the State Council on accelerating the slum clearance and upgrade projects. The State Council of PRC. Accessed 12 July. http://www.gov.cn/zwgk/2013-07/12/ content_2445808.htm. Visser, K., Bolt, G., and van Kempen, R. (2013). Urban Restructuring and Forced Relocations: Housing Opportunities for Youth? A Case Study in Utrecht, the Netherlands. Housing Studies 28 (2):294-316. doi: 10.1080/02673037.2013.767881. Wang, L. (2009). The actional selection of interests expression of urban relocated residents: a case-study of relocated residents’ campaign in B District of H City. Master’s thesis, Northeast Normal University. Wang, S.W.H. (2011). The Evolution of Housing Renewal in Shanghai, 1990–2010: A ‘Socially Conscious’ Entrepreneurial City? European Journal of Housing Policy 11 (1):51-69. Wang, YP, Shao, L., Murie, A., et al. (2012). The Maturation of the Neo-liberal Housing Market in Urban China. Housing Studies, 27(3), 343-359. Weinstein, L, and Ren X.F. (2009). The changing right to the city: urban renewal and housing rights in globalizing Shanghai and Mumbai. City & Community 8 (4):407-432. Wu, F.L. (2004a). Intraurban residential relocation in Shanghai: modes and stratification. Environment and Planning A 36 (1):7-25. Wu, F.L. (2004b). Residential relocation under market-oriented redevelopment: the process and outcomes in urban China. Geoforum 35 (4):453-470. doi: 10.1016/j.geoforum.2003.10.001. Wu, F.L. (2012). Neighbourhood attachment, social participation, and willingness to stay in China’s low-income communities. Urban Affairs Review 48(4): 547-570. Wu, F.L, Zhang, F.Z., and Webster, C. (2013). Informality and the Development and Demolition of Urban Villages in the Chinese Peri-urban Area. Urban Studies 50 (10):1919-1934. doi: 10.1177/0042098012466600. Xi, J., and Hwang S.S.. (2011). Relocation stress, coping, and sense of control among resettlers resulting from China’s Three Gorges Dam Project. Social indicators research 104(3): 507-522. Xinhuanet. (2014). Thousands of relocation households have not been rehoused Why has the key Shantytown Redevelopment Project been ceased for many years?. Xinhuanet, Accessed 12 April. http://news.xinhuanet.com/fortune/2014-04/21/c_1110327303.htm. Xinjing News. 2013.180 Relocatee households have been drifting for 13 years in Taiyuan city 50 relocatees cannot be rehoused until they passed away. Xinhuanet Accessed 1 October. http://www.hb.xinhuanet.com/2013-10/01/c_117582191.htm. Xue, L., Kerstetter, D., and Buzinde, C. N.. (2015). Residents’ experiences with tourism development and resettlement in Luoyang, China. Tourism Management 46:444-453. doi: 10.1016/j.tourman.2014.08.005. Xuhui District Government. (2015). The scheme for dwelling expropriation and compensation for the old inner city redevelopmnet project at No.378-386 (even number) in Urumqi street in Xuhui District. Xuhui District Government Accessed 27 July. http://fangguan.xuhui.gov.cn/fgj_home/home/fggg/fggg_content.jsp?tgid=0F50F608-0AAD-0B6E-DF51-8CFC4B70C2B7. Zhang, L. (2004). Forced from home: Property rights, civic activism, and the politics of relocation in China. Urban Anthropology 33 (2-4):247-281. Zhu, Y.S, Breitung, W., and Li, S-M. (2012). The Changing Meaning of Neighbourhood Attachment in Chinese Commodity Housing Estates: Evidence from Guangzhou. Urban Studies 49 (11):2439-2457. doi:10.1177/0042098011427188. August, M. (2016). “It’s all about power and you have none:” The marginalization of tenant resistance to mixed-income social housing redevelopment in Toronto, Canada. Cities, 57: 25-32. Bjorklund, E. M. (1986). The Danwei: socio-spatial characteristics of work units in China’s urban society. Economic Geography, 62(1) : 19-29. Brenner, N. & Theodore, N. (Eds.) (2002). Spaces of Neoliberalism: Urban Restructuring in North America and Western Europe . Oxford: Blackwell. Cartier, C. (2013). Neoliberalism and the Neo-authoritarian City in China—Contexts and Research Directions: Commentary in Conversation with Jennifer Robinson’s Urban Geography Plenary Lecture. Urban Geography, 32(8) : 1110-1121. CDB (2017). The brief introduction of China Development Bank (CDB), available at http://www.cdb.com.cn/gykh/khjj/. Chen, J., Yang, Z. and Wang, YP. (2014). The New Chinese Model of Public Housing: A Step Forward or Backward? Housing Studies, 29(4) : 534-550. Chien, S. (2007). Institutional innovations, asymmetric decentralization, and local economic development: a case study of Kunshan, in post-Mao China. Environment and Planning C, 25(2) :269. Dodson, J. (2006). The “Roll” of the State: Government, Neoliberalism and Housing Assistance in Four Advanced Economies. Housing, Theory and Society, 23(4), 224-243. Duckett, J. (2012) China’s 21st-century welfare reforms. Local Economy, 27(5-6) : 645-650. Fang, K., & Zhang, Y. (2003). Plan and market mismatch: Urban redevelopment in Beijing during a period of transition. Asia Pacific Viewpoint, 44(2) : 149-162. Goetz, E. G. (2016). Resistance to social housing transformation. Cities, 57: 1-5. Harvey, D. (2005). A brief history of neoliberalism, New York: Oxford University Press. He, S. (2012). Two waves of gentrification and emerging rights issues in Guangzhou, China. Environment and Planning A, 44(12) : 2817-2833. He, S. & Lin, GC. (2015). Producing and consuming China’s new urban space: State, market and society. Urban Studies, 52(15) : 2757-2773. He, S. & Wu, F. (2005), Property - led redevelopment in post‐reform China: a case study of Xintiandi redevelopment project in Shanghai. Journal of Urban Affairs, 27(1) : 1-23. He, S. & Wu, F. (2007), Socio-spatial impacts of property-led redevelopment on China’s urban neighbourhoods. Cities, 24(3) :194-208. He, S. & Wu, F. (2009), China’s Emerging Neoliberal Urbanism: Perspectives from Urban Redevelopment. Antipode, 41(2) : 282-304. Hin, LL & Xin, L. (2011), Redevelopment of urban villages in Shenzhen, China – An analysis of power relations and urban coalitions. Habitat International, 35(3) :426-434. Jones, K. & Popke, J. (2010). Re-envisioning the city: Lefebvre, Hope VI, and the neoliberalization of urban space. Urban Geography, 31(1) : 114-133. Korthals Altes, W. (2016). Forced relocation and tenancy law in Europe. Cities, 52: 79-85. Leaf, M. (1995). Inner city redevelopment in China: Implications for the city of Beijing. Cities, 12(3) : 149-162. Lee, J. (2000). From Welfare Housing to Home Ownership: The Dilemma of China’s Housing Reform. Housing Studies, 15(1) : 61-76. Lee, J. & Zhu, Y-p. (2006). Urban governance, neoliberalism and housing reform in China. The Pacific Review, 19(1) : 39-61. Lees, L. (2012). The geography of gentrification: Thinking through comparative urbanism. Progress in Human Geography, 36(2) : 155-171. Lelévrier, C. (2013). Social mix neighbourhood policies and social interaction: The experience of newcomers in three new renewal developments in France. Cities, 35, 409-416. Li, K. (2015). Li Keqiang: Peng-hu-qu Wenti Bujiejue Hetan Shehui Gongping (Li Keqiang: How can we achieve social justice if the shantytown problems are not solved). Available at http://www.gov.cn/xinwen/2015-06/17/content_2880958.htm. Li, X., Kleinhans, R. & Ham. M. van (2016), Ambivalence in Place Attachment: The Lived Experiences of Residents in Declining Neighbourhoods Facing Demolition in Shenyang, China. IZA Discussion Paper No. 10515. Bonn: Institute for the Study of Labor (IZA). 1-24. Lin, GC & Zhang, AY. (2014). Emerging spaces of neoliberal urbanism in China: Land commodification, municipal finance and local economic growth in prefecture-level cities. Urban Studies, 52(15) : 2774-2798. Lin, GCS. (2014). China’s landed urbanization: neoliberalizing politics, land commodification, and municipal finance in the growth of metropolises. Environment and Planning A, 46(8) : 1814-1835. Lin, Y., Hao, P. & Geertman, S. (2014). A conceptual framework on modes of governance for the regeneration of Chinese ‘villages in the city’. Urban Studies, 52(10) : 1774-1790.
redevelopment, Shenyang: Liaoning People’s Publishing House. Marom, N., & Carmon, N. (2015). Affordable housing plans in London and New York: Between marketplace and social mix. Housing Studies, 30(7) :993-1015. Meng, X. (2012). The transformation of Modi Community: The redevelopment and community governance in the deprived neighbourhoods in inner city, Beijing: Renming University Press. MLRPRC. (2014) Guotu ziyuanbu guanyu tuijin tudi jieyue liyong de zhidao yijian(The guideline of the MLRPRC on promoting the efficient utilization of land). Available at http://www.mlr.gov.cn/zwgk/zytz/201409/t20140926_1331065.htm. MOHURD. (2013a) Jie du’Guowuyuan Jiakuai Peng-hu-qu Gaizao Gongzuo de Yijian (Decoding the suggestions on accelerating the redevelopment of the shantytowns from the state council). Available at http://www.gov.cn/zwhd/2013-07/12/content_2445702.htm. MOHURD. (2013b) Youju Bian Yiju Baixing Tiandashi: Duihua Zhufang ChengXiang Jianshebu Fu Buzhang Qi Ji(It really matters to improve the living condition of people: Interview with the Vice Minister of MOHURD). Available at http://www.mohurd.gov.cn/bldjgzyhd/201309/t20130909_214987.html. Ni, P., Oyelaran-Oyeyinka, B. & Chen, F. (2012). 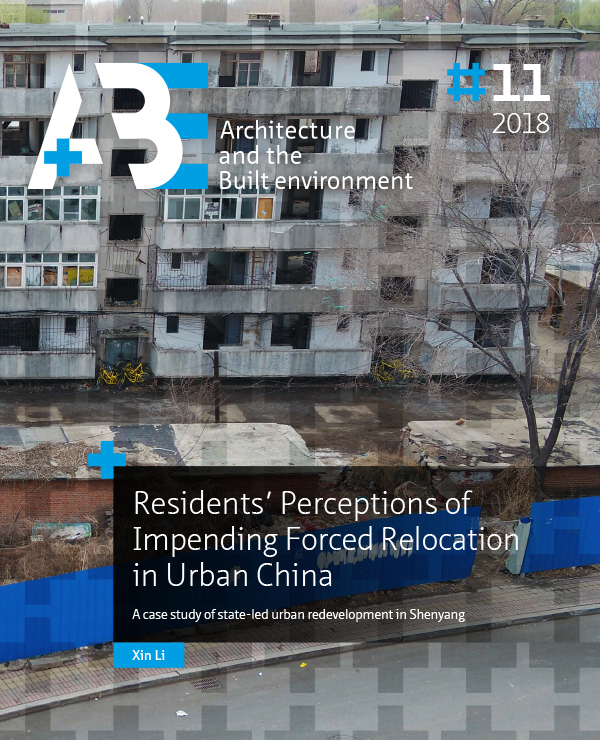 Probe into the development mode of Low-income settlements in the urbanization process : the experience of shanty towns reconstruction in Liaoning, China, Beijing: Social Sciences Academic Press (China). Nonini, D. M. (2008). Is China Becoming Neoliberal? Critique of Anthropology, 28(2) : 145-176. Ong, A. (2007). Neoliberalism as a mobile technology. Transactions of the Institute of British Geographers, 32(1) :3-8. People’s Daily. (2013). Model. Observation for the frontline of economy: Huanggu District of Shenyang, Combining both hands in shantytowns redevelopment. People’s Daily. Ren, X. (2014). The Political Economy of Urban Ruins: Redeveloping Shanghai. International Journal of Urban and Regional Research, 38(3) : 1081-1091. RGDUFE. The theory, practice and evolution of the urban shantytown redevelopments in Liaoning province. The research group of Dongbei University of Finance and Economics. n.d. : 1-140. Shao, Q. (2013). Shanghai gone: domicide and defiance in a Chinese megacity. Rowman & Littlefield. Shih, MI. (2010). The Evolving Law of Disputed Relocation: Constructing Inner-City Renewal Practices in Shanghai, 1990-2005. International Journal of Urban and Regional Research, 34(2) : 350-364. Shin, H. B. (2009). Residential Redevelopment and the Entrepreneurial Local State: The Implications of Beijing’s Shifting Emphasis on Urban Redevelopment Policies. Urban Studies, 46(13) : 2815-2839. Shin, H. B. (2014). Urban spatial restructuring, event-led development and scalar politics. Urban Studies, 51(14) : 2961-2978. Shin, H. B., Lees, L., & López-Morales, E. (2016). Introduction: Locating gentrification in the Global East. Urban Studies, 53(3) : 455-470. So, A Y. (2007). Peasant conflict and the local predatory state in the Chinese countryside. The Journal of Peasant Studies, 34(3-4) : 560-581. Shenyang Statistic Bureau. (2010). The Population Census Data of Shenyang, http://www.sysinet.gov.cn/ Stephens, M. (2010). Locating Chinese Urban Housing Policy in an International Context. Urban Studies, 47(14) : 2965-2982. Su, X. (2014). Urban entrepreneurialism and the commodification of heritage in China. Urban Studies, 52(15) : 2874-2889. SYG. (2014). Shenyangshi 2014 Nian Peng-hu-qu Gaizao Shishi Fangan. Available at http://www.shenyang.gov.cn/zwgk/system/2014/03/12/010090651.shtml (accessed 7 February 2014). The State Council of PRC. (2001).Chengshi Fangwu Chaiqian Guanli Tiaoli (The Regulation on the Management of the Demolition of Urban Dwellings). Available athttp://www.gov.cn/gongbao/content/2001/content_60912.htm (accessed 13 June 2001). The State Council of PRC. (2011). Guoyou Tudi Shang Fangwu Zhengshou yu Buchang Tiaoli(The Regulation on the Expropriation and Compensation of Dwellings on the State-owned Land). Available at: http://www.gov.cn/flfg/2011-01/21/content_1791480.htm (accessed 21 Jan 2011). Uitermark, J., Duyvendak, J. W., & Kleinhans, R. (2007). Gentrification as a governmental strategy: social control and social cohesion in Hoogvliet, Rotterdam. Environment and Planning A, 39(1) : 125-141. Wang, D. & Chai, Y. (2009). The jobs–housing relationship and commuting in Beijing, China: the legacy of Danwei. Journal of Transport Geography, 17(1) : 30-38. Weinstein, L. & Ren, X. (2009). The changing right to the city: urban renewal and housing rights in globalizing Shanghai and Mumbai. City & Community, 8(4) :407-432. Wu, F. (1996). Changes in the structure of public housing provision in urban China. Urban Studies, 33(9) : 1601-1627. Wu, F. (2001). China’s recent urban development in the process of land and housing marketisation and economic globalisation, Habitat International, 25 (3) :273-289. Wu, F. (2008). China’s great transformation: Neoliberalization as establishing a market society. Geoforum, 39(3) : 1093-1096. Wu, F. (2010). How Neoliberal Is China’s Reform? The Origins of Change during Transition. Eurasian Geography and Economics, 51(5) : 619-631. Xu, J. & Yeh, A. (2009). Decoding urban land governance: state reconstruction in contemporary Chinese cities. Urban Studies, 46(3) :559-581. Yang, Y-R. & Chang, C-H. (2007). An Urban Regeneration Regime in China: A Case Study of Urban Redevelopment in Shanghai’s Taipingqiao Area. Urban Studies, 44(9): 1809-1826. Zhang, L. & Ong, A. (2008). Privatizing China: socialism from afar. New York: Cornell University Press. Zhang, T. (2002). Urban Development and a Socialist Pro-Growth Coalition in Shanghai. Urban Affairs Review, 37(4): 475-499. Zhu, J. (1999). Local growth coalition: the context and implications of China’s gradualist urban land reforms. International Journal of Urban and Regional Research, 23(3): 534-548. Anguelovski, I. (2013) From Environmental Trauma to Safe Haven: Place Attachment and Place Remaking in Three Marginalized Neighborhoods of Barcelona, Boston, and Havana, City & Community 12 (3): pp.211- 237. Bailey, N., Kearns, A. & Livingston, M. (2012) Place Attachment in Deprived Neighbourhoods: The Impacts of Population Turnover and Social Mix, Housing Studies, 27(2), pp. 208-231. Bjorklund, M.(1986) The Danwei: socio-spatial characteristics of work units in China’s urban society, Economic Geography, 62 (1) :19-29. Bray, D. (2014) Social Space and Governance in Urban China: the Danwei System, (Nanjing: Southeast University). Brown, B. & Perkins, D. D. (1992) Disruptions in place attachment, in: I. Altman and S. M. Low (Eds) Place Attachment: 279–304 (New York: Plenum). Brown, B., Perkins, D. D. & Brown, G. (2003) Place attachment in a revitalizing neighborhood: Individual and block levels of analysis, Journal of Environmental Psychology, 23 (3):259-271. Corcoran M. (2002) Place attachment and community sentiment in marginalised neighbourhoods, Canadian Journal of Urban Research, 11(2) : 201-221. Egan, M., Lawson, L., Kearns, A., Conway, E., & Neary, J. (2015) Neighbourhood demolition, relocation and health. A qualitative longitudinal study of housing-led urban regeneration in Glasgow, UK. Health & Place, 33:101-108. Feijten, P. & van Ham, M. (2009) Neighbourhood Change... Reason to Leave? Urban Studies 46(10) :2103-2122. Fullilove, M. (1996) Psychiatric implications of displacement: Contributions from the psychology, The American Journal of Psychiatry, 153 (12) :1516-1523. Fried, M. & Gleicher, P. (1961) Some sources of residential satisfaction in an urban slum, Journal of the American Institute of Planners, 27(4) :305-315. Fried, M. (1963) Grieving for a lost home, in: L. J. Duhl (Ed.) The Urban Condition: 151–171 (New York: Basic Books). Fried, M. (2000) Continuities and discontinuities of place, Journal of Environmental Psychology, 20 (3) : 193–205. Gilroy, R. (2012) Physical threats to older people’s social worlds: findings from a pilot study in Wuhan, China. Environment and Planning A, 44:458-476. Giuliani, M.V. & Feldman, R. (1993) Place attachment in a developmental and cultural context, Journal of Environmental Psychology, 13:267-274. Goetz, G. (2013) Too Good to be True? The Variable and Contingent Benefits of Displacement and Relocation among Low-Income Public Housing Residents. Housing Studies, 28 (2) : 235-252. Goetz, E. G. (2016) Resistance to social housing transformation. Cities, 57:1-5. He, S.J., Webster, C., Wu, F. L., & Liu, Y. T.(2008) Profiling urban poverty in a Chinese City, the case of Nanjing. Applied Spatial Analysis and Policy, 1(3) : 193-214. He, S., Wu, F., Webster, C., & Liu, Y. (2010) Poverty Concentration and Determinants in China’s Urban Lowincome Neighbourhoods and Social Groups. International journal of urban and regional research, 34(2) : 328-349. Hidalgo, M. C. & Hernández, B. (2001) Place attachment: conceptual and empirical questions, Journal of Environmental Psychology, 21(3) : 273-281. Hin, L.L. & Xin, L. (2011) Redevelopment of urban villages in Shenzhen, China – An analysis of power relations and urban coalitions. Habitat International, 35(3) : 426-434. Jean, S. (2016) Neighbourhood attachment revisited: Middle-class families in the Montreal metropolitan region. Urban Studies, 53(12) : 2567-2583. Kearns, A. & Mason, P. (2013) Defining and Measuring Displacement: Is Relocation from Restructured Neighbourhoods Always Unwelcome and Disruptive? Housing Studies, 28(2) :177-204. Kleinhans, R. & Kearns, A. (2013) Neighbourhood Restructuring and Residential Relocation: Towards a Balanced Perspective on Relocation Processes and Outcomes. Housing Studies, 28(2) : 163-176. Lelévrier, C. (2013) Social mix neighbourhood policies and social interaction: The experience of newcomers in three new renewal developments in France. Cities, 35: 409-416. Lewicka, M. (2011) Place attachment: How far have we come in the last 40 years? Journal of Environmental Psychology, 31(3) : 207-230. Livingston, M., Bailey, N. & Kearns, A. (2010) Neighbourhood attachment in deprived areas: evidence from the north of England, Journal of Housing and the Built Environment, 2010 (25) :409–427. Lu, F. (1989) Danwei: a special form of social organisation. Social Sciences in China, 1: 71-88. Luo, Y. (2012) Institutional Arrangements and Individual Action: The Spontaneous Moving Back of Urban Inhabitants of Resettlement and Space Reconstruction of the Original Community, Master Dissertation, East China Normal University, 2012. Marom, N., & Carmon, N. (2015) Affordable housing plans in London and New York: Between marketplace and social mix. Housing Studies, 30(7) : 993-1015. MOHURD. (2013) Youju Bian Yiju Baixing Tiandashi: Duihua Zhufang ChengXiang Jianshebu Fu Buzhang Qi Ji. Available at http://www.mohurd.gov.cn/bldjgzyhd/201309/t20130909_214987.html. Oakley, D., Ruel, E., & Wilson, G. E. (2008) A choice with no options: Atlanta public housing residents’ lived experiences in the face of relocation. Atlanta: Georgia State University.Popkin, S.J. (2010) A glass half empty? New evidence from the HOPE VI Panel Study, Housing Policy Debate, 20(1) : 43-63. Popkin, S.J., Levy, D.K., Harris, L.E., Comey, J., Cunningham M.K., & Buron, L.F. (2004) The HOPE VI Program: What about the residents? Housing Policy Debate, 15(2) : 385-414. Popkin, S.J. (2010) A glass half empty? New evidence from the HOPE VI Panel Study, Housing Policy Debate, 20(1) : 43-63. Posthumus, H., Bolt, G. & van Kempen, R. (2013) Victims or victors? The effects of forced relocations on housing satisfaction in Dutch cities, Journal of Urban Affairs, 36(1) : 13–32. Posthumus, H. & Kleinhans, R. (2014) Choice within limits: how the institutional context of forced relocation affects tenants’ housing searches and choice strategies, Journal of Housing and the Built Environment, 29 (1): 105–122. Ramkissoon, H., Smith, L. D. G. & Weiler, B. (2013) Testing the dimensionality of place attachment and its relationships with place satisfaction and pro-environmental behaviours: A structural equation modelling approach. Tourism Management, 36: 552-566. Relph, E. (1976) Place and placelessness. (London: Poin). Scannell, L. & Gifford, R. (2010) Defining place attachment: A tripartite organizing framework, Journal of Environmental Psychology,30(1) :1-10. Tester, G., Ruel, E., Anderson, A., Reitzes, D., & Oakley, D. (2011) Sense of place among Atlanta public housing residents, Journal of Urban Health, 88(3) :436-453. Tester, G., & Wingfield, A. H. (2013) Moving past picket fences: The meaning of “home” for public housing residents. Sociological Forum, 28 (1) : 70-84. Wang, D. G. & Chai, Y. W. (2009) The jobs–housing relationship and commuting in Beijing, China: the legacy of Danwei, Journal of Transport Geography, 17(1) : 30-38. Wang, YP, Shao, L., Murie, A., et al. (2012) The Maturation of the Neo-liberal Housing Market in Urban China. Housing Studies, 27(3) : 343-359. Windsong, E. A. (2010) There is no place like home: Complexities in exploring home and place attachment. The Social Science Journal, 47(1) : 205-214. Wu, F. (2004) Urban poverty and marginalization under market transition: the case of Chinese cities. International Journal of Urban and Regional Research, 28(2) : 401-423. Wu, F. L. & He, S. J. (2005) Changes in traditional urban areas and impacts of urban redevelopment: a case study of three neighbourhoods in Nanjing, China. Tijdschrift voor economische en sociale geografie, 96(1) : 75-95. Wu, F. L. (2012) Neighborhood Attachment, Social Participation, and Willingness to Stay in China’s Low-Income Communities. Urban Affairs Review, 48(4) : 547-570. Zhu, Y., Breitung, W. & Li, S-M (2012) The Changing Meaning of Neighbourhood Attachment in Chinese Commodity Housing Estates: Evidence from Guangzhou. Urban Studies, 49 (11) : 2439-2457. Allen, R. E. S. and Wiles, J. L. (2014). Receiving support when older: what makes it ok? The Gerontologist, 54.4: 670–682. Bartlett, H., and Phillips, D. R. (1997). Ageing and aged care in the People’s Republic of China: national and local issues and perspectives. Health & Place, 3(3) : 149–159. Borglin, G., Edberg, A.-K. & Hallberg, I. R. (2005). The experience of quality of life among older people. Journal of Aging Studies 19(2): 201–220. Chan, A. (2005). Aging in southeast and east Asia: Issues and policy directions. Journal of Cross-Cultural Gerontology , 20 (4) : 269–284. Cheung, C. K. & Kwan, A. Y. H. (2009). The erosion of filial piety by modernisation in Chinese cities. Ageing & Society, 29(2), 179–198. Chou, R. J. A. (2010). Filial Piety by Contract? The Emergence, Implementation, and Implications of the ‘Family Support Agreement’ in China, The Gerontologist, 51(1) : 3–16. Davey, J. (2006) Ageing in place: The views of older homeowners on maintenance, renovation and adaptation. Social Policy Journal of New Zealand 27: 128. Dobner, S., Musterd, S. & Fortuijn, J. D. (2016). ‘Ageing in place’: experiences of older adults in Amsterdam and Portland. GeoJournal, 81(2) : 197–209. Ekström, M. (1994). Elderly people’s experiences of housing renewal and forced relocation: Social theories and contextual analysis in explanations of emotional experiences. Housing Studies, 9(3) : 369–391. Forrest Zhang, Q. (2004). Economic transition and new patterns of parent–adult child co-residence in urban China. Journal of Marriage and Family 66(5): 1231–1245. Fried, M. (1963) Grieving for a lost home, in: L. J. Duhl (ed.) The Urban Condition, pp. 151–171 (New York: Basic Books). Gavrilov, L. & Heuveline, P. (2003). Aging of Population: The Encyclopedia of Population. New York, MacMillan. Gilroy, R. (2008). Places that support human flourishing: Lessons from later life. Planning Theory & Practice 9(2): 145–163. Gilroy, R. (2012). Physical threats to older people’s social worlds: findings from a pilot study in Wuhan, China. Environment and Planning A, 44(2) : 458–476. Goetz, G. (2013) Too good to be true? The variable and contingent benefits of displacement and relocation among low-income public housing residents. Housing Studies, 28 (2) : 235–252. Hillcoat-Nallétamby, S. (2014). The meaning of ‘independence’ for older people in different residential settings. Journals of Gerontology Series B: Psychological Sciences and Social Sciences, 69(3) : 419–430. Hillcoat-Nalletamby, S. & Ogg, J. (2014). Moving beyond ‘ageing in place’: older people’s dislikes about their home and neighbourhood environments as a motive for wishing to move. Ageing & Society, 34(10) : 1771–1796. Jiang, L. (1995). Changing kinship structure and its implications for old-age support in urban and rural China. Population Studies 49(1): 127–145. Lager, D., Van Hoven, B. & Huigen, P. P. (2013). Dealing with change in old age: Negotiating working-class belonging in a neighbourhood in the process of urban renewal in the Netherlands. Geoforum, 50 : 54–61. Lawton, M. P. & Nahemow, L. (1973). Ecology and the aging process. In C. Eisdorfer & M. P. Lawton (eds. ), The psychology of adult development and aging : 619–674 . Lawton, M. P. (1983) Environment and other determinants of well-being in older people. The Gerontologist 23(4): 349–357. Lawton, M. P. (1985). The elderly in context: Perspectives from environmental psychology and gerontology. Environment and Behavior, 17(4) : 501–519. Li, L. W., Long, Y., Essex, E. L., et al. (2012). Elderly Chinese and their family caregivers’ perceptions of good care: A qualitative study in Shandong, China. Journal of Gerontological Social Work, 55(7) : 609–625. Li, X., Kleinhans, R., & van Ham, M. (2017). Shantytown redevelopment projects: State-led redevelopment of declining neighbourhoods under market transition in Shenyang, China. Cities, In press. Liu, Y. T. & Wu, F. L. (2006). The state, institutional transition and the creation of new urban poverty in China. Social Policy and Administration, 40 (2) : 121–137. Liu, Y., Dijst, M., & Geertman, S. (2014). Residential segregation and well-being inequality between local and migrant elderly in Shanghai. Habitat International, 42 : 175–185. Logan, John R., Bian, F. Q., & Bian, Y. J. (1998). Tradition and change in the urban Chinese family: The case of living arrangements. Social Forces, 76(3): 851–882. Logan, John R., & Bian, F. Q. (1999) Family values and coresidence with married children in urban China. Social Forces 77(4): 1253–1282. Löfqvist, C., Granbom, M., Himmelsbach, I., Iwarsson, S., Oswald, F. & Haak, M. (2013). Voices on relocation and aging in place in very old age—a complex and ambivalent matter. The Gerontologist, 53(6) : 919–927. Oswald, F., Hieber, A., Wahl, H. W., & Mollenkopf, H. (2005). Ageing and person–environment fit in different urban neighbourhoods. European Journal of Ageing, 2(2) : 88–97. Oswald, F., & Rowles, G. D. (2006). Beyond the relocation trauma in old age: New trends in today’s elders’ residential decisions. In H.-W. Wahl, C. Tesch-Römer, & A. Hoff (eds. ), New Dynamics in Old Age: Environmental and Societal Perspectives (pp. 127–152). Amityville, New York: Baywood Publishers. Peace, S., Holland, C. & Kellaher, L. (2011). Option recognition in later life: variations in ageing in place. Ageing & Society 31(5): 734–757. Plath, Debbie. (2008) Independence in old age: the route to social exclusion? British Journal of Social Work 38(7) : 1353–1369. Popkin, S. J., Cunningham, M. K., & Burt, M. (2005). Public housing transformation and the hard-tohouse. Housing Policy Debate, 16(1):1–24. Portacolone, E. (2011). The myth of independence for older Americans living alone in the Bay Area of San Francisco: A critical reflection. Ageing & Society 31. (5): 803–828. Saunders, P., & Lujun, S. (2006). Poverty and hardship among the aged in urban China. Social Policy & Administration, 40(2) : 138–157. Severinsen, C., Breheny, M., & Stephens, C. (2016). Ageing in unsuitable places. Housing Studies, 31(6) : 714–728. Sixsmith, A. & Sixsmith, J. (2008). Ageing in place in the United Kingdom. Ageing International, 32(3) : 219–235. Sixsmith, J., Sixsmith, A., Fänge, A. M., Naumann, D., Kucsera, C., Tomsone, S. & Woolrych, R. (2014). Healthy ageing and home: The perspectives of very old people in five European countries. Social Science & Medicine, 106: 1–9. Smetcoren, A. S., De Donder, L., Dury, S., De Witte, N., Kardol, T., & Verte, D. (2017). Refining the push and pull framework: Identifying inequalities in residential relocation among older adults. Ageing & Society, 37(1):90–112. Tester, G., & Wingfield, A. H. (2013). Moving past picket fences: The meaning of ‘home’ for public housing residents. Sociological Forum, 28 (1) : 70–84. Van Der Meer, M., Fortuijn, J. D., & Thissen, F. (2008). Vulnerability and environmental stress of older adults in deprived neighbourhoods in the Netherlands. Tijdschrift voor Economische en Sociale Geografie, 99(1) : 53–64. West, L. A. (1999). Pension reform in China: Preparing for the future. The Journal of Development Studies, 35(3): 153–183. Wiles, J. L., Allen R. E. S, Palmer A. J., et al. (2009) Older people and their social spaces: A study of well-being and attachment to place in Aotearoa, New Zealand. Social Science & Medicine, 68(4) : 664–671. Wiles, J., Leibing, A., Guberman, N., Reeve, J., & Allen, R. (2012). The meaning of ‘aging in place’ to older people. The Gerontologist, 52(3) : 357–366. Yamada, K., & Teerawichitchainan, B. (2015). Living arrangements and psychological well-being of the older adults after the economic transition in Vietnam. Journals of Gerontology Series B: Psychological Sciences and Social Sciences, 70(6) : 957–968. Yan, Y. X. (2011). The individualization of the family in rural China. Boundary 2, 38(1): 203–229. Zhang, Y. (2017a). Family or money? The false dilemma in property dispossession in Shanghai. International Journal of Urban and Regional Research, 41(2) :194–212. Zhang, Y. (2017b). Domicide, social suffering and symbolic violence in contemporary Shanghai, China. Urban Geography: 1–24. Zhou, S., Xie, M., & Kwan, M. P. (2015). Ageing in place and ageing with migration in the transitional context of urban China: A case study of ageing communities in Guangzhou. Habitat International, 49: 177–186. Fang, Yiping. (2006). Residential Satisfaction, Moving Intention and Moving Behaviours: A Study of Redeveloped Neighbourhoods in Inner-City Beijing. Housing Studies 21 (5):671-694. LI, Xin. Residents’ Perceptions of Impending Forced Relocation in Urban China. A+BE | Architecture and the Built Environment, [S.l. ], n. 11, p. 1-174, dec. 2018. ISSN 2214-7233. Available at: <https://journals.open.tudelft.nl/index.php/abe/article/view/2298>. Date accessed: 26 apr. 2019. doi: https://doi.org/10.7480/abe.2018.11.2298.